While Andy Russell's parents are at the hospital with his newborn baby brother, Andy is having big problems at home. His strange aunt Janet has come to babysit, and she's on a mission to rid the house of germs in preparation for the baby. 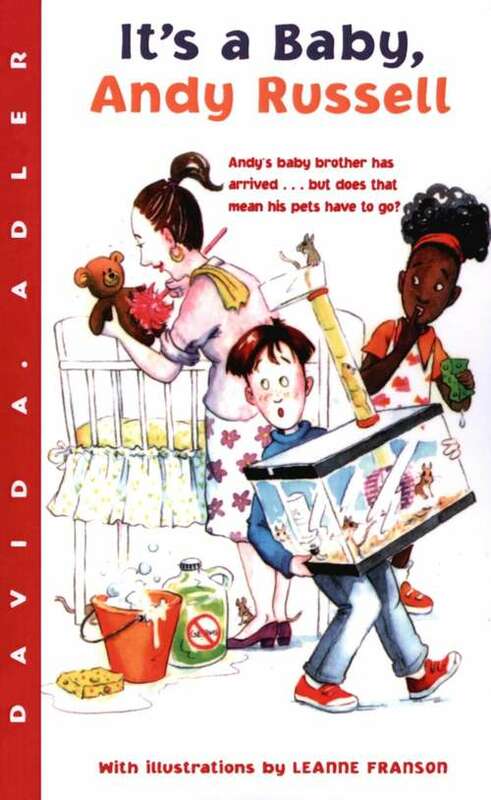 Andy is convinced his aunt wants him to clean all of his "germy" pets . . . right out of the house! Award-winning author David A. Adler's sixth book in the Andy Russell series is filled with hilarious misunderstandings, warm reunions, and a sweet new addition to the Russell family.